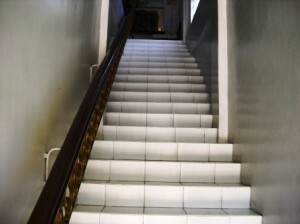 My Opinion: First of all to get to the front desk you have to go up about 25 steps of stairs. The desk is directly in front of you at the top. 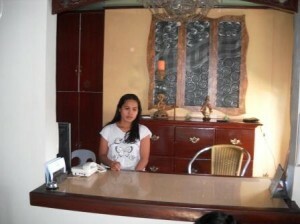 The lady behind the desk was nice and the only person I saw there. The rooms looked clean. It says that room rates can change without prior notice but on the flyer I have, it looks like they just recently updated. Looks like the P1500 was P1200, the P1000 was P800, the P800 was P600 and the P600 didn’t change. Just so you’ll have an idea of how they think when making rate changes. 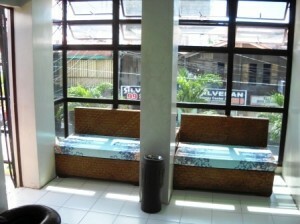 This hotel is in the middle of downtown on Magsaysay Blvd and there is a nice view of the downtown area from the hotel lobby. Overall, I’d stay here because I’m not worried about the stairs, but I know my wife will not like them. 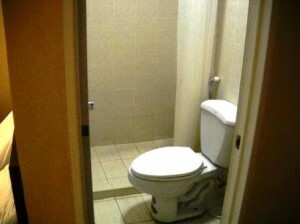 It’s something to consider before making reservations. 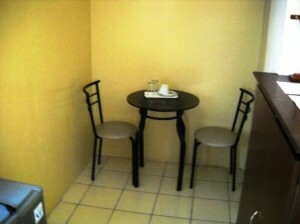 The room in the pictures below is one of their Premiere Suites (P1500). PLEASE REMEMBER THAT ALL COMMENTS HERE ARE THE SOLE OPINION OF THE SENDER, IF YOU ARE SKEPTICAL OF THESE FINDINGS, PLEASE EXPERIENCE THE HOTEL FOR YOURSELF AND SEND YOUR OWN COMMENTS. From Gary: Jen and I have stayed here quite a few times. 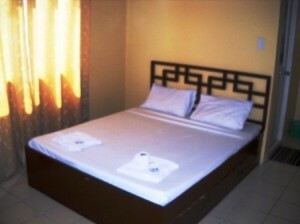 We like it because it is close to everything and the rooms are good sized and clean. 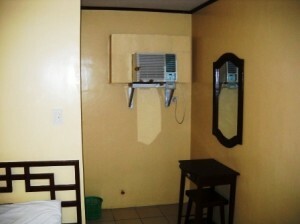 They have hot water for the showers, good air con and cable TV. The stairs were not a problem for either of us. The prices have certainly gone up. 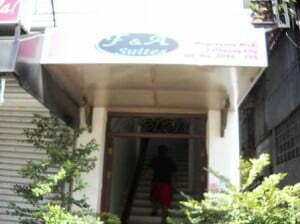 The last time we stayed there was, I believe, in early December 2009 and the rates for the room were P1,000 per night. 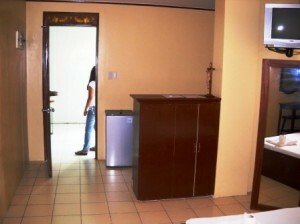 Another thing to note was that there was not a maid service like most hotels. When we left in the morning and came back in the evening, the bed was not made and the towels were still hanging on the shower rod. That is not a problem for us but others may not like this. We asked for new towels and they promptly brought them to our room. All in all, two thumbs up from my asawa and me…..and a small thumbs up from George (their son). At those prices they need elevator service and maid service, no way I woul stay there When Marju is P500 a night cheaper and has a pool. I agree Rick, but luckily we don’t have to worry about that here. You are the first comment on the new site. Congratulations! You don’t win squat, but you are the first.